Every daddy wants their son to wear a golf outfit. 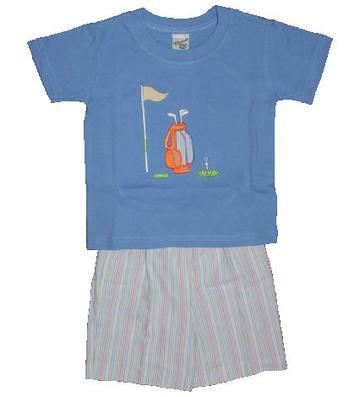 This chambray blue color shortsleeve shirt has an adorable golf applique on the chest with an elastic neckline. There is matching multi stripe shorts with an elastic waist to get on/off easily. This adorable outfit is 100% cotton.